Family Tree DNA is one of the popular ancestry genetic testing company. They offer ancestry composition for more than 350 geographical regions. Site has a very strong genealogical community and targeted DNA projects. They let you email others with matching profiles as you. They allow a free upload of raw data from tests run for other sites. Has a chromosome browser, which lets you compare two or more sets of DNA results. There have been complaints of a confusing user interface. Not very popular among consumers. The Comprehensive Genome Test was a life-changer. It helped me discover my roots and gave growth to a sense of belonging I had yearned for all my life. The test provided tools with which I traced my ancestry and helped me find close relatives with whom I can build a positive relationship. If I had to make a complaint, it would definitely be the somewhat overwhelming amount of information provided in excruciatingly technical detail. This affected by enjoyment of the test in its entirety, and I would advise, if I may be so bold, that the website provide a sort of layman explanation for most of the rather technical terms used in order to increase customer participation and enjoyment. In summary, I fully recommend this test as a way to gather knowledge about your roots and get in contact with members of your family. The benefits it has provided to me is well worth the price. The company was founded close to two decades ago and throughout the years since its inception, it has continued to be regarded as one of the most trusted and prominent providers of DNA testing services all over the world. The services the company provides have grown from the mere analysis of Y and mitochondrial (mDNA) for both paternal and maternal DNA ancestry to the full-blown center for both genome testing and analysis and relative tracking that it is today. I already had a pretty clear idea of what service I wanted even before I checked out the website, so it was just a matter of decoding what names contained the services I wanted. There was a handy little page that showed the particulars of each test, which greatly reduced the amount of time I spent floundering about on the site. I wanted the Complete Genome Test option, and I made sure to read the description attached which let me know that it was specific to males and it had the Family Finder feature as well as the mitochondrial DNA (mDNA) analysis. This meant that I would get a full breakdown of the genetic origins of both my maternal and paternal ancestry, as well as a list of possible matches of any existing relatives on their database. My ordering experience was remarkably painless and straightforward; I clicked on the appropriate tab to purchase and I was directed to a shopping cart page containing all the features I had ordered. After completing this part of the process, I was then directed to the payment section on the website where I was offered a selection of payment methods. I chose to pay via Mastercard, and I entered my address and I was billed for shipping. Because I am a bit of a regular online shopper, I wasn’t much surprised by the amount charged for shipping as it fell well within the range of the amount I’d normally pay. I went through the terms and conditions carefully, as I’m wont to do when it comes to anything that concerns genetic material and it seemed pretty straightforward and non-sinister; they agreed to do nothing I hadn’t previously given informed consent to with my DNA and I was told that I’d have to resend a sample if the one I provided initially wasn’t able to be used. The kit arrived soon after, containing a form to be filed for consent as well as the materials for sample collection (cotton swabs, thank god) and a requirement for a list of my known ancestors. I assumed that this was to provide a bit of a starting point for the ancestral tracing, and I was later proved right. I took the samples, posted the box including consent forms back, and I was duly notified when the lab received my sample and then was given the option of monitoring the progress of the analysis of my genetic sample. The results were available a few weeks later, although the results of my mitochondrial DNA testing were the last to arrive, taking more than one week after the receipt of my Y DNA and Family Finder results. These results were displayed in a relatively easy to understand and interpret dashboard, although I had some problems with both the technical language and some of the details provided. I wanted to take a look at this section first, as it was one of the most exciting sections of the test. My Origins showed a relatively unsurprising 95 percent European lineage with trace elements of Middle Eastern and Scandinavian traces, with the areas off origin conveniently displayed on a color coded map of the world. An ancient origins map also gave some information about the possible occupations of my very distant ancestors; mine was composed of almost equal percentages of farmer and metal age invader, which I was very much thrilled by. The display showed me my maternal and paternal haplogroups which had turned out to be K1a4a1e and I-M253 respectively. There was also a haplogroup migration map which showed the possible routes of migration of both my maternal and paternal haplotypes, as well as some relevant information and explanations. The next part of the results showed the matches maps, which was a graphical representation of the location of my existing relatives on the database. This was easily one of the coolest things that I had seen so far, and really brought into focus the practical evidence of the advancements made in science and technology in order to pull this off. A look at the family finder feature on the dashboard showed that I had a total of 2041 matches, a staggering amount if you factored in the fact that I had only 3 relatives that I knew about and inputted in the forms I was given. I was given a little information about each relative including the closeness of our genetic relationship as well as the time when we were matched, as well as their ancestral surnames. When I went further to click on the profiles provided, I was shown even more information about my relatives including their contact information and ancestral surnames. There was actually a lot more information provided in the result dashboard, but this proved to be a lot more complicated to interpret. Suffice it to say that I was given an exhaustive breakdown of the parts of genetic material that I and my relatives had in common, specific breakdowns of the mitochondrial and Y DNA as well as their specific matches, and something called a genetic distance and terminal SNP, which I had little use for. I was given the option to download a copy of my raw data in case I wanted to send them to another genetic testing site for confirmation of results or further analysis, a measure which I seriously doubt that I’d have to take since this test has done a more than adequate job of answering all my questions and providing all the information I need to get in contact with my family members. Full marks for that, honestly, as I hadn’t been expecting it. The wellness report was a third party service which I did not feel inclined to purchase as I visit a physician semi regularly, and the other services I saw displayed on the website did not interest me in the slightest. In conclusion, the comprehensive genome test answered all the questions I had and lots more, it gave me the opportunity to discover and meet with the existing members of my family, it educated me on the history of my genetic history and it provide a sense of scale to my life as a human being that has affected the way I live and what I consider my place in the world to be. The services provided by the site are very much what they are advertised to be, and the payment modalities, sample collection and tracking, and eventual delivery of results were relatively straightforward and stress free. If I had any complaint, it would be the overly technical nature of some of the information provided which made the experience less interesting than it would have otherwise been. I hope the people who are behind the operation of this wonderful site take this into consideration so that they can provide a fully enjoyable experience for their customers all over the world. Review by Kim England-Before you purchase this product it is important that you know a bit about exactly what ethnicity is. It is not nationality or not necessarily even country of origin. Most people don’t understand that ethnicity is inherited RANDOMLY. For argument’s sake, let’s say you know for certain one parent is 100% (unlikely) Italian, and the other parent 50% Irish and 50% Mexican. This does not mean the the child will be half Italian and a quarter Irish and a quarter Mexican. The child could end up with only 25% Italian or any number of combinations – including part of a different ethnicity altogether from their “deep ancestry” from several generations ago.Ethnicity is like any other characteristic/trait – a person may favor one parent more than the other. While everyone gets half of their chromosomes from each parent, this is NOT so when it comes to ethnicity. In fact, sometimes a part of one parent’s ethnicity may not even get passed down at all. Likewise, it is possible to have a grandparent born in Germany (and for all practical purposes be mostly German), but not have any German passed down to the grandchild. Just like perhaps the eye color isn’t the same or the height or hair texture.Another thing to remember is that the county or origin or nationality is not the same as ethnicity. For example, many people left their homeland to emigrate to Holland. After a generation or so, they adopted the language and customs. Perhaps then they left again and went to America, leaving future generations believing they are Dutch. Then they have their DNA tested and no dutch appears. “How can this be?” they ask. It is because their true ethnicity is not Dutch.Another instance could be that a particular ethnic group settled in a country and reproduced within their “own group” so to speak. DNA wise, the ethnicity would remain as such until another ethnic line is introduced. Examples of this occur in England, where some peoples tests show a high percentage of Norwegian. A reason for this could be that since the Viking invasion the generations just so happened to mate with others who shared similar Norwegian ethnicity.Lastly is the “Native American” phenomena. While many people like to believe or have been told that an ancestor was a Native, often this is family lore, or, if indeed it is true, it is not likely to show up in a DNA test. The introduction of an ethnicity in one’s ancestry will not likely manifest itself in a high enough percentage to be of significance, although it is possible.With all that said, once you understand this, ask yourself what it is you are looking to get out of the test. Are you simply curious about your ethnicity? Do you have any interest in your genealogy (family tree)? For those who wish to learn about their genealogy it can be very useful. It is of benefit to have a family tree done and uploaded to Ancestry’s website, even if you only know a little. Ancestry has access to so many records and more and more are being made available every day. The problem for many years is that the records weren’t “searchable” because they had to be transcribed one by one.My advice for anyone who wishes to test their DNA is to order the kit and then get a temporary membership or even a one month membership to ancestry (start with the US Discovery membership which is under $20). Then enter your family tree information (individuals who are living are not visible to others). When your results come in, you will be able to see DNA “matches”, that is anyone who also tested their DNA and has shared genetic markers with you. Ancestry will tell you in what way they suspect the person connects to you and they are usually spot on. They can even see if a person is a distant cousin (5th through 8th). If your match also has a tree on line, you will be able to view it and see how you connect. I have had several family members test and every time Ancestry’s “predicted relationship” was accurate. In other words, my mother came up as “parent/child relationship” and siblings came up as siblings. First cousin matches were accurate as well. One second cousin came up as a third cousin, but that is the only “error” if one can even call it such.The ethnic portion is very interesting but should be taken more as a estimation. Advances in DNA testing will enable improved accuracy (like getting more specific than “British Isles” or “Asian”) but the results are not just “pulled from no where”. It is important to read the tutorials on the website. They are well researched and very informative. There is a load of information that would really enlighten many people and answer questions, but I’m not sure if this is happening. The test is quick, easy to do, and offers answers to many questions both on line and on the phone. Often there are sales but even at full price, the cost is worth it in my view.What this test will NOT do: test for diseases or health conditions, nor will it show genetic mutations or if one is a carrier of a particular trait.This kit serves those best who are interested in genealogy, however, do keep in mind that with DNA all closets become unlocked, and more than a few have been made aware of some unexpected relations. This is great if you’re looking to discover or verify your lineage. I had no idea where my family was from and this gave me some clear insight into that question. The test arrived quickly and was easy to complete and return in the prepaid shipping package provided, I got my results a few weeks after sending my prepaid package back to be analyzed. The Family Tree DNA website gives a clear breakdown and the exact percentages of what your DNA contains – this product will give you a great background on your DNA and where you’re from.The process was fairly easy and I would have to say the only hard part was waiting for the results – but like Momma always says, good things come to those who wait!In short: Great product, super easy to follow instructions, clear breakdown of DNA results, all at a great price! I would highly recommend the Family Tree DNA test kit! And I think I’ll be picking up a few kits to gift to others! I have been looking forward to doing my family DNA for a long time and this was the best choice on the Market . Very easy to use and get sent out.A nosy but for those that are curious about where they come from. I’ve done testing with both Ancestry and FTDNA. If you’re testing for ethnicity, you probably shouldn’t be testing at all. DNA doesn’t respect political/national boundaries. There’s basically no difference between a German and an Englishmen genetically speaking. For the differences there are, they will be different at different times because of migrations/invasions. Both the Ancestry and FTDNA Family Finder test are autosomal DNA tests which tests chromosomes from both parents. Ancestry is a good choice if you are going to do no further testing. They have the largest DNA database to match upon and their ethnicity calculator comes up with results that most people would expect. FTDNA’s recent changes in how they calculate ethnicities has produced strange results because of their reference population choices. You can also download your raw results and import them into FTDNA but Ancestry doesn’t allow the opposite.The reason to test with FTDNA is their additional testing products. If you’re a male tester, you can do additional Y-DNA testing which only tests the Y-chromosome. This allows the test to reach much further back in time; autosomal testing is only good for about 4-5 generations. FTDNA also keeps your sample for 25 years so it’s available for additional testing even if the original test taker isn’t. So if you’re considering doing any additional DNA testing, FTDNA is your best choice. Ancestry only has the autosomal test. 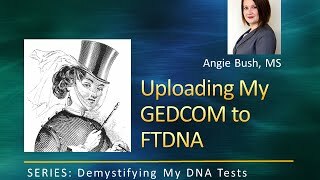 FTDNA’s test doesn’t require any subscription fees on their site to access other member’s trees like Ancestry does. They also have a Chromosome browser to check DNA matches — Ancestry does not . 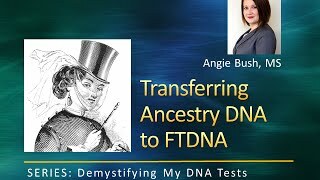 FTDNA is much more about DNA testing; Ancestry is about their genealogy records. Both will come back with accurate DNA results – ie the raw DNA file. The ethnicity results for both should be looked at with extreme skepticism — the testing is more suited for determining ancestral matches. The whole experience…ordering, shipping, and product delivery was flawless from start to finish.Pleased with the product. Am giving the kits as gifts…such fun. Excellent bought for family members and it took a while to process but happy with results. I’ve done DNA testing with all of the major companies now. And I’ve been at this DNA stuff for almost 15 years now. * I found the ethnicity estimate to be just about equal to everyone else. You can get more detail running your own models via gedmatch but for the curious or beginner, this is the easy result. If you just want to know whether you need a kilt or lederhosen or green beer for the next holiday seasons then this works as well, with many particular limitations, as any of the others. * There’s no medical interpretation – most don’t anymore. You can get good medical results running your raw download through Promethease for a few bucks. If you want to know medical propensities then Ancestry won’t help much on its own. * The relationship calculations are pretty accurate and the database is huge. Compared to my other tests, this one returned far more and much closer connections. If you’re looking for birth parents and such, this is the place to start. Just remember that the calculator is an estimate and other possibilities exist.- The sampling process was simple “spit in a tube, mail it in” – I much prefer cheek swabs but this gets the job done.- Time was super fast for me – 4 weeks from mail-in. I have a test out with one company that is nearing 3 months to process.- The user interface is pretty simple for newbies but doesn’t offer much in the way of analysis tools for those who have DNA experience. Gedmatch can makeup for the shortfall in analysis tools if you can get your matches to upload there.- The ease of creating an attached tree makes for some particularly easy genealogical research to confirm/refute family connections.- The ease of creating an attached tree makes for some particularly prevalent errors in family trees.- yDNA and mtDNA predictive markers are hidden in these results if you want to make an effort to dig them out.- The marketing of this tester has created a large database of folks who were only interested in ethnicity and admixture estimates who have no interest in and won’t reply to genealogy queries. Many haven’t logged back in since they got their results back.There seem to be a lot of customers who forgot that molecular biology, human origins and migrations geography, and world history weren’t their best subjects in school and were expecting this to return an easy result to “grasp it all” in a few minutes. The more you want to dig, the more complex the understanding will become. “DNA for Dummies” is a master’s degree – “All You Ever Wanted to Know…” is a PhD. If you get hung up on needing to understand it all in a few short hours then you’re going to get very frustrated. Take it in a little at a time.Having spent many $1000’s on this hobby over the years, I’m very pleased with this $70 investment into understanding who I am and where I came from. Your mileage may vary. I HIGHLY recommend this!!! Being adopted, I’ve always been curious about my background and AncestryDNA helped me figure it out easily! However, the best feature in my opinion is that they then provide with information about potential family members. Because of this feature, I was finally able to connect with my biological sister after 25 years of dreaming about doing so! That right there means that I will forever say that AncestryDNA is worth every single penny and definitely earns and deserves 5 stars!!! I have done this test myself and had great results. I am buying two kits for gifts for family members. As a registered dietitian this is a great tool to help persuade clients (and family) to change their eating habits. My own experience convinced me…I found that I was sensitive to foods which I never would have guessed and felt much better after taking them out of my diet. My ancestors were from Korea. One of our daughters submitted her saliva to the 23 and me and discovered that she had Korean, Chinese and Japanese genes which wasn’t surprising. Mine from the AncestryDNA, however, declared that I am 100% East Asian with a huge circled region encompassing Siberia to the north, Japan to the east, Indonesia to the south, and Bangladesh to the west. The map is attached. What a waste of money and effort! The Ancestry DNA should have a big warning that their test isn’t for East Asians. One kit log in infos worked great, the two other ones were inacurate but after several phone call with famillitreedna, they found me a solution, so everything will be fine-so they assured me-. As other people said, the packaging does not work for a gift, a bit flimsy compared to other companies like LivingDNA and 23&ME who have excelent looking packaging ang comprehensive test including mt and Y, but if you want to upgrade to the most detailed ( and expensive) Y test out there, familytreedna is the place to go. Or you can do only the detailed Y or mt test at famillytreedna and the autosomal ( including y+mt) at another company for the same price. Your choice should take in consideration on which continent you expect to have the most living relatives and choose the company that sells their kits on that continent or country, hense will have the biggest pool of matches from that continent or country. Hope that helped. I’m Korean, but I wanted to further understand my ethic background. I was curious if I have South Asian genes or ancestors from other East Asian countries.But the test result only says I’m “100% Asian.” One giant yellow pie chart just saying I’m just “Asian”, nothing else. So, I paid 80 bucks to find out I’m Asian.AncestryDNA only 4 Asian regions (Asia, South Asia, Central Asia, and Guam/Philippines), whereas they have more than 100 European regions.Is this some sort of sick joke? I understand that the company may have way fewer Asian samples. But then, they should’ve notified customers that they can’t track Asian people’s ancestry at all.Don’t waste your money on this, if you are Asian. UPDATE 16-May-2018: We had my husband do this test so we could compare results. We call him the dog with hands because the man can eat everything in sight without issue. Sure enough, his test results show almost no reactivity to foods – just yogurt, which we knew about.I have major food issues – GERD, gluten intolerance, IC, IBS, migraines, and allergies. My test results show significant reactivity to a broad range of foods – and these are foods we knew I had issues with.I am convinced this test is pretty legit.PREVIOUS REVIEW: This test won’t confirm lactose intolerance nor celiac disease. All it does is show IgG reactive levels – antibodies. The medical community is divided over what this means for food tolerance. Humans develop antibodies as protection against foreign substances like viruses. If you have had chicken pox, you have antibodies against chicken pox. This doesn’t guarantee that you won’t get chicken pox, but it definitely reduces your chances significantly.But does having chicken pox antibodies make you willing to eat the chicken pox virus?Well, food is no different. There are foods our bodies believe are harmful foreign agents and so our bodies build up antibodies to protect us from them. Does the presence of the antibodies mean you are now safe to enjoy those foods? This is where the medical community is divided.NIH has published results of a study that shows elimating IgG-reactive foods reduces migraines.Here is what I can tell you – wheat and gluten are on my reactive IgG list. I eliminated both and I went from near-daily migraines to about 3 per month.IgG antibodies trigger an inflammatory response. That response will manifest in different human bodies in different ways. Migraines in some, brain fog or joint pain in others. Maybe lethargy, fatigue, insomnia, etc., it all depends on how the inflammatory response occurs.This test is only going to tell you your IgG reactivity to foods. It won’t tell you how that reactivity in you manifests. Maybe it doesn’t. Or maybe it’s the source of that mystery joint pain you are having.The human body is a complex ecosystem. No two bodies react exactly the same because we all have different gut bacteria, diets, genetics, medications, etc. Each of these things contributes to your unique chemistry. How these IgG-reactive foods impact your chemistry really can only be determined through an elimination diet and then reintroduction of one IgG-reactive food at a time so you can see how your body reacts to it.All this test will do is narrow down a possible list of foods based on IgG reactivity only.Celiac disease and lactose intolerance are two examples of food issues that this test will NOT reveal.Food intolerance has several possible causes – IgG just being one among many – and there are likely many more that we aren’t even aware of yet.So don’t put all of your eggs in one basket, so to speak. This test is just one piece of your body’s ecological mystery puzzle. This product is amazing…here is my proof. I completed my food sensitivities test and gluten (ugh) came back as my extreme sensitivity. I was already scheduled to have an appointment with my gastroenterologist for something unrelated and i mentioned it to him. He ran various tests and came up with the same result. So you can get doctor advice in your own living room with this simple kit. I cut out gluten/wheat and I felt like a new person and lost 11 lbs in 10 days. I was literally poisoning myself with gluten. I always thought being gluten free was annoying if you didn’t have an allergy or celiac, but ideas wrong. I Love the challenge now of finding yummy gluten free food everywhere we go. This was a gift from my husband. He did tons of research on which one actually the must accurate combined with customer satisfaction and this one came on top! I’d never heard of it, the others seem to have commercials every 5 minutes because of this trend. To my surprise, the experience was fantastic! It was simply to use, great instructions and easy mailing instructions. This is a very solid product and I’ve been happy with hubby’s surprise! i was skeptical about the product at first mainly because the reviews from scholarly article doesn’t believe in IGg mediated sensitivity testing. I am here to tell you this is real! I have psoriasis, which by chance i found out gets drastically better when i eat a bland diet during treatments for another medical condition. I was on clobetasol solution, ointment, and ketoconazole shampoo trying to get my psoriasis under control for years. When i ate clean, i didn’t need any of those medications and all my patches went away. Initially, i thought it was sensitivity to gluten and diary, which are common. I started avoiding all gluten and diary. However, my psoriasis would still flare when i didn’t eat gluten. It was so confusing that i decided to test it with everlywell food sensitivity testing. My highest reactivity came out to be diary (which i suspected) and yeast!!! which is found in alcochol bakery items, and vinegar. I love sour foods like hot and sour soup and i drink socially. I’m so happy to find this out. I highly recommend this test! Don’t waste your money! I am a Hispanic female whose biological parents are both Hispanic and grandparents are all Hispanic. My biological mother had completed a dna kit from a different reputable provider and my results weren’t even close to hers! This kit’s results showed that I had no Hispanic genealogy and was mostly western European; Swiss, German, Austrian etc. I contacted Family Tree DNA and was given the runaround about how these results are correct. My advice; don’t waste your money and buy from ancestry dna or 23 and me. The blood sample was fairly easy to collect. I put my test in the mail on Monday and got my results on Friday. Highly recommend. Found out I had a moderate reaction to some things I eat often and had no idea they were the culprit for my stomach pain. I thought I was gluten intolerant or something, but eliminating gluten wasn’t really helping. Turns out it’s yeast and dairy! I’ve had stomach problems for years and years. I’ve done reduction diets several times trying to figure out what was bothering me. The reduction diets take a long time to work and it takes a long time to add foods back in. We don’t have health insurance that will pay for allergy testing and I wanted to see if foods were bothering me even if not a true “allergy”. The results of this test took a week to come back and really pointed out a lot of food sensitivities. I react to spinach, milk, carrots, cheeses, even almonds among many other things! So in the past, when I would avoid milk, I’d drink almond milk. It is good to know what things could be a small bother for my body, but when eaten with several other items that bother me, it could be causing my GI issues. I do feel better now that I’m avoiding these food sensitivities. Very disappointing! Results are General ie 89% European but no breakdown of Italian vs French vs German etc. Don’t waste your money!